running through it to keep business moving forward. The network is the blood system of the organization, needed to guard networked computer systems and protect electronic data that is either stored in networked computers or transmitted in the networks. Malicious activities can hide in the floods of traditional alerts generated by your system, so using the network to activate sensor capabilities for suspicious activity, intrusions and breaches can make all the difference. By collecting network traffic and other sources of metadata, systems can analyze and document every transaction that takes place on the network so you can see threats among all of the noise. As your extended network grows in complexity and as more devices try to access it, the more vulnerable you become—so find ways to identify threats that can find their way in even before an actual breach. Creating a clear corporate network security policy and then training employees across locations is critical to establishing an effective network security strategy. Clear rules remove the ambiguity around security ownership across every aspect of the system. Use defined segmentation to enforce access rights consistently anywhere in the network and use advanced tools to interprets ISE policy to enforce the right level of access to users, prevent the lateral movement of malicious actors, and limit the impact of breaches. Branch networks introduce a new level of complexity and greatly expand your attack surface, so it’s critical to protect your extended network with the same encryption, visibility, and ease of management that you employ at your home campus. 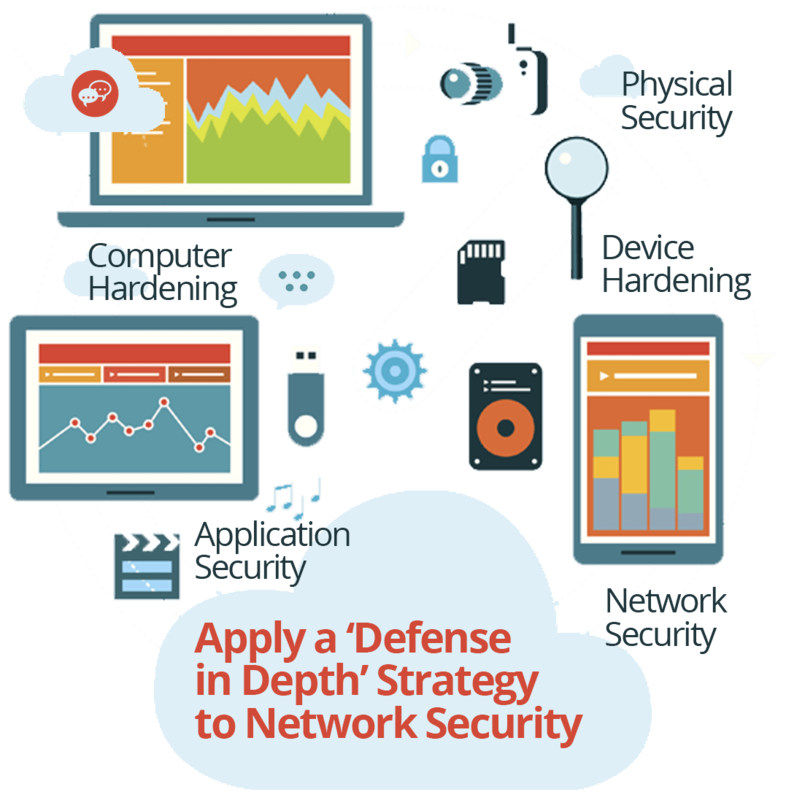 Improving network security in today’s dynamic threat landscape requires a deeply layered defense system that includes multiple layers of defense mechanisms used to resist possible attacks. Attackers are often characterized as black-hat hackers, script kiddies, cyberspies, employees, and cyber terrorists. Basic network security models are comprised of four components: cryptosystems, firewalls, anti-malicious-software (AMS software), and intrusion detection systems (IDS system).